Effectively exfoliates and removes dead skin cells without harsh scratching. 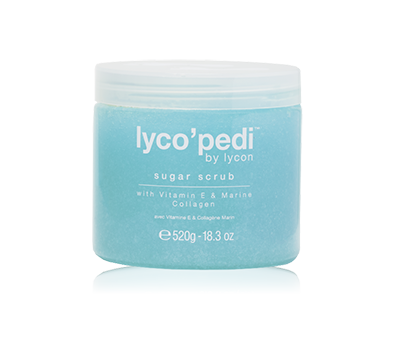 The lyco’pedi Sugar Scrub is oil-free, will not stain towels and conveniently does not scatter all over the place as you work. This exquisite natural formula helps banish calluses and dry rough skin, to reveal brighter younger looking feet that feel silky smooth and invigorated. Lemon Tea-Tree and Peppermint essential oils hygienically refresh feet and fight odours. Marine Collagen for smoothing hydration, Vitamin E to moisturise and Sugar Crystals for natural exfoliation. 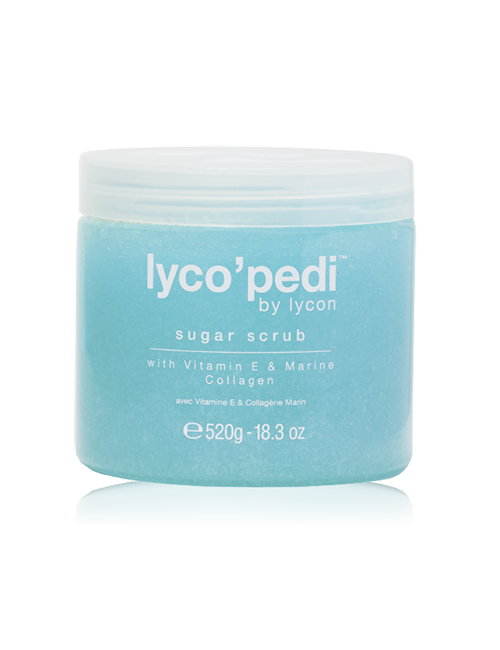 lyco’pedi Sugar Scrub is plastic bead free.